Give Your 10 is an initiative that encourages Auburn students to engage with the hundreds of service opportunities offered across campus. Here at Auburn we “believe in the human touch, which cultivates sympathy with my fellow men and mutual helpfulness and brings happiness for all.” Give Your 10 encourages Auburn students to give 10 hours of their time to serve others! Here is a video showing how you can track your service hours on AUinvolve. Check out the resources below to find a way for you to give your 10! Check out over 50 weekly volunteer opportunities that you can pick around your schedule! 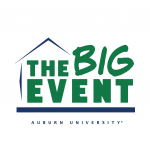 Explore over 180 service/philanthropy organizations on Auburn’s campus! Browse the service calendar from University Outreach to find a service opportunity that fits your interests and schedule! Take a service trip over Fall Break, Winter Break, Martin Luther King, Jr. Day, or Spring Break! Join this resourceful anti-hunger program that recycles food from dining halls, turns donations into nourishing meals, and delivers those meals to those who need it most! 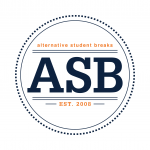 Serve the Auburn-Opelika area with over 1,500 Auburn students in the Spring! 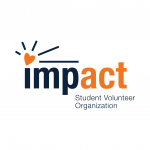 If you would like your organization or department highlighted on the is page contact Robert Powers, Service Programs Advisor, at rep0007@auburn.edu.